This 2.7 acre park is located at the southeastern corner of the intersection of Highways 100 and 7, by the Nordic Ware tower. It is accessed by a service that runs off of Belt Line Blvd. in front of the Nordic Ware campus. It was originally designated as “St. Louis Park Roadside Park” when it was built in 1939. The picture below, taken in 1953, is the closest we have to an archival photo. 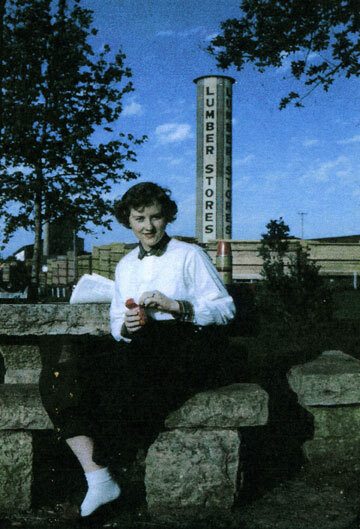 In the background is what is now the Nordic Ware Tower. A walking/bike path surrounds the tables; it was originally a roadway but has been closed to cars and narrowed. 2. Four picnic tables with benches; there may have originally been five. They are built out of limestone, and sit on a platform of flagstone. 3. Stone fireplace, about 5 ft. by 9 ft. at the base, mostly deteriorated. Plans called for more than one. 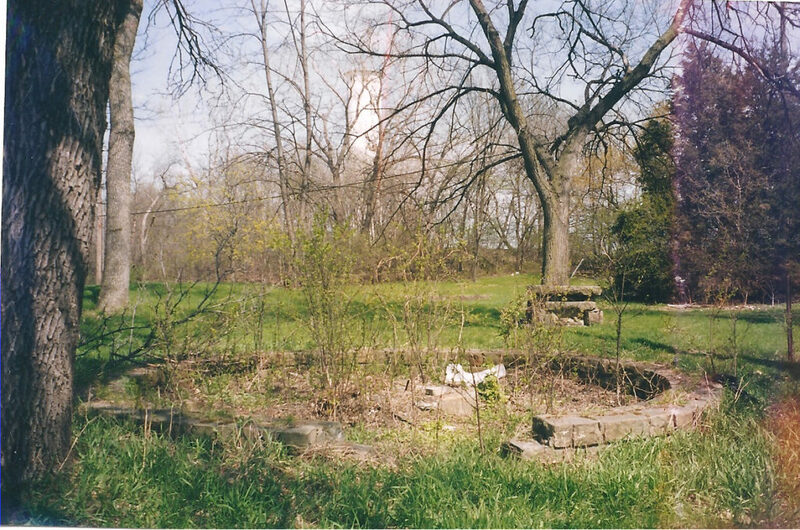 In the early 2000s, the St. Louis Park Historical Society, the City of St. Louis Park, Three Rivers Parks District, and Nordic Ware formed a committee to move the Beehive fireplace from the “old” Lilac Park to “Roadside” Park and to restore the stone structures of the Roadside site. 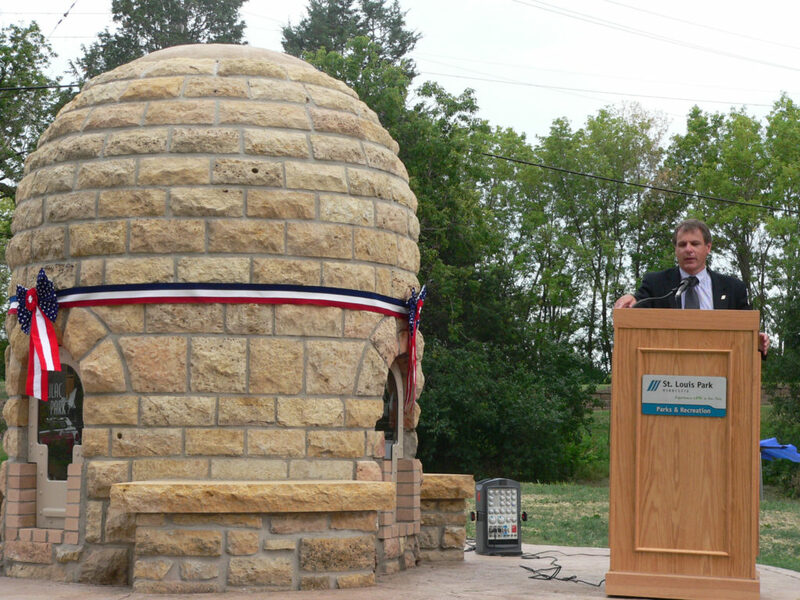 In 2008-2009 the Beehive was moved, the park’s structures restored, and the bike trail extended to reach the restored park. 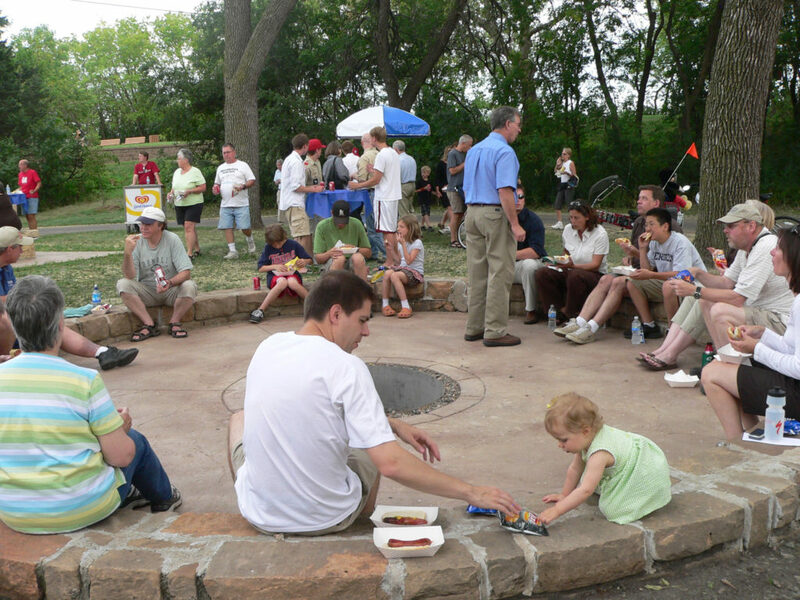 The new park was dedicated on July 13, 2009. Beside the Beehive, new features include bike racks and pads for toilet facilities, trash receptacles, and an informational kiosk. Click here for many more resources and information about the Beehive.